Human rights guarantee humanity’s basic freedoms and needs. As the most vulnerable in our society, children are given additional rights, and it is our duty as a society to protect and promote them. These rights are entitlements; they are not optional. On Universal Children’s Day, I want to emphasise the huge opportunity we have as a nation to take an international lead on putting children’s rights at the heart of how our children develop and learn, and to ensure that all children grow up happy, healthy, safe, and knowing how to access their rights. The significant potential risks for the protection of human rights globally has brought into sharp focus the crucial step the Welsh Government must take now to ensure that through our new curriculum, children in Wales learn about how human rights are relevant to their daily lives, and that they get to do so in an environment that respects their rights. This must be safeguarded by being placed in our law through the Curriculum and Assessment Bill that will be introduced in the Assembly early next year. This is a once-in-a-generation opportunity that cannot be missed. Across the world there are numerous examples where children are denied their rights. This year alone across the world we have seen children starving, injured or killed and being denied education due to the destruction of war, separated from their parents at borders, gunned down in classrooms, and children and their families persecuted for their religion or ethnic group. Closer to home, here in Wales, children may be subject to bullying because of their disability, religion, sexuality or ethnicity, sexually harassed in the streets and online, or unable to have basic necessities because of poverty. We must ask ourselves why this is allowed to happen almost thirty years after almost every country in the world committed to protecting the children of their countries through the United Nations Convention on the Rights of the Child (UNCRC). We must continue our proud tradition of defending human rights in Wales by ensuring that every citizen learns about their rights and understands that they are neither ‘political correctness’ nor ‘tokenistic nice words’ but fundamental freedoms agreed on an international basis after the destructive inhumanity of the Second World War. 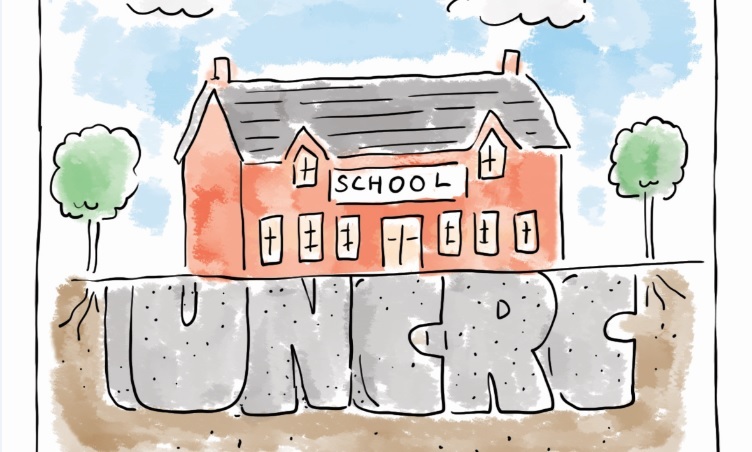 Here in Wales we have a once in a generation opportunity to show international leadership by placing the UNCRC at the heart of every child’s education through the new curriculum. Children must learn about human rights and learn within an environment that respects their rights as children. This would make sure they get their rights to be healthy and safe, treated without discrimination, listened to and encouraged to reach their full potential. Through these experiences we can ensure our population is ready to respect others’ human rights and act as citizens to defend and protect their own and others rights. Children who learn in a setting that respects each child’s human rights will experience a positive, caring and inclusive environment. A rights-based education tackles bullying and discrimination, promotes mutual respect and understanding as well as works to help each child fulfil their potential. Children and teachers enjoy positive relationships when human rights are respected and schools using a rights-based approach report better behaviour and attendance. Some children currently experience unfair treatment and discrimination in schools. By placing a commitment to children’s rights in our education law, schools and local authorities would have to take further steps to ensure that all learners are receiving fair treatment. Globally, human rights are under threat. But in Wales we have an opportunity. An opportunity to show leadership internationally by ensuring that we have a human rights-based education system. An opportunity to become a country which truly respects everyone’s human rights. The first step is clear: let us place the UNCRC on the face of our new Curriculum and Assessment Bill. If you’d like to read more about this, take a look at our policy position paper.